A McDonald’s restaurant in Sibenik, Croatia, is drawing international attention today after workers there reportedly continued to make and sell food after a female customer collapsed and died at the counter. An ambulance, called by the woman’s husband, responded quickly, though emergency personnel could not revive her. While relatives mourned, adds 24sata, the woman’s body was covered with a sheetuntil the coroner reportedly arrived an hour and a half later. All the while, the fast food eatery apparently stayed open for business. Restaurant officials have countered the claims, attributing them to overzealous reporting in the Croatian media. 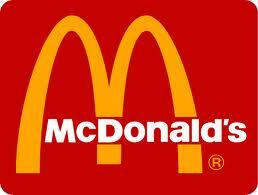 According to the Daily Mail, McDonald’s officials say that after the woman died only the drive-through remained open. They say the walk-in portion of the restaurant remained closed until the body could be removed. Posted on July 27, 2012, in So Random! and tagged Croatia, fast food, mc donalds, so random. Bookmark the permalink. 1 Comment.